WASHINGTON, D.C. – Today, the First Five Years Fund (FFYF) and 20 other national organizations sent a joint letter to Health and Human Services Secretary Alex Azar and Education Secretary Betsy DeVos offering their unified perspective on the forthcoming implementation of the new Preschool Development Grants (PDG) program. The PDG program, which was authorized under the Every Student Succeeds Act (ESSA), is the first-ever funding stream dedicated specific to early learning under any version of the nation’s principal education law, which was first enacted 1965. Utilize a competitive grant structure in order to achieve the high-quality standard the PDG program is designed to help states establish and maintain. Require states to develop Needs Assessments, equipping them to develop ambitious Strategic Plans. Ensure Renewal Grants strive for continuous improvement in order to better serve children in the state’s system. According to FFYF’s 2017 national poll, 82% of American voters support expanding the federal partnership with states and communities through grants that will allow them to improve access to quality preschool for children from low- and middle-income families. In December of 2015, President Obama signed ESSA into law, which comprehensively updated the Elementary and Secondary Education Act for the first time since 2001 — including establishing the new PDG program that is designed to help low-income families gain access to high-quality early learning opportunities. The new program, championed by Senators Johnny Isakson (R-GA), Patty Murray (D-WA), and Lamar Alexander (R-TN), as well as Representatives John Kline (R-MN-Retired) and Bobby Scott (D-VA), succeeds the Obama Administration’s Preschool Development Grants program (Legacy PDG), which provided initial preschool funding to 18 states. Congress and the Obama White House established the Legacy program through the fiscal year 2014 federal appropriations process. 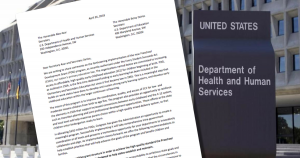 This appropriations-based approach lacked detailed statutory guidance and instead reserved most Legacy PDG program decisions to the Department of Education and Department of Health and Human Services. ESSA, on the other hand, specifically defines the ESSA PDG program’s purposes, parameters, and other requirements.